Microsoft finally unveiled their mostly awaited operating system which is the Windows 10 in July 2015, coming up as an evolution rather than a mandatory upgrade to the former OS Windows 8.1, the newest “free” computer operating system from Microsoft is packed with many features. Music fans may find it frustrated when wishing to burn MP3 to CD on Windows 10 for backup the tracks they like. And in this case, there is no way for you to play CDs while driving or share music or audio files to others. 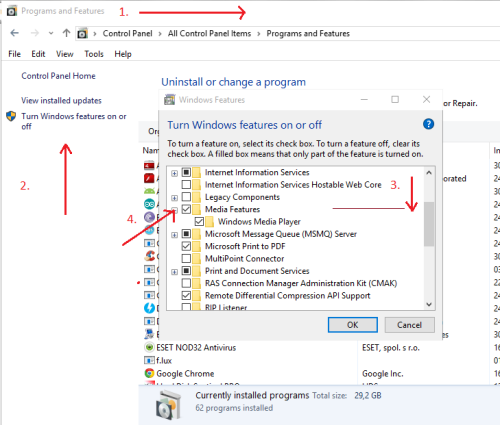 If you wish to get some right approaches to burn CD on the new Windows OS, check out this article, two methods are provided for you. This is a free solution for you. Actually, you may still have the built-in Windows Media Player, but it’s hidden, because you have the new metro apps. If there isn’t a folder with that name, search in Program Files (x86), in case you have Windows 10 64-Bit edition. If you don’t find it anywhere,it may not be included with your copy of Windows (i have Windows 10 Pro). Scroll down until you see a folder named Media Features. Go to it and you should see a folder named Windows Media Player. Check the box to install it. enter image description here. You may need to set it up before you start. After that, you can enjoy creating audio CDs. 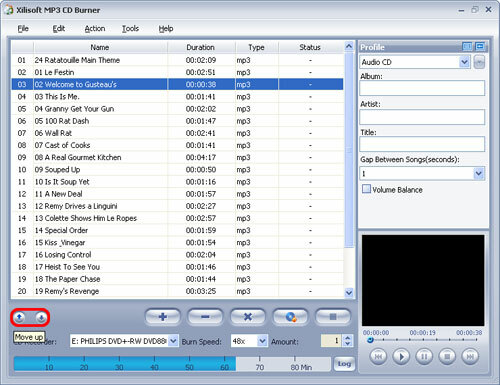 As a high-quality CD burning software, UFUShare recommended this MP3 CD Burner makes almost all video (HD and SD) and audio formats AVI, MPEG, WMV, DivX, MP4, H.264/MPEG-4 AVC, RM, MOV, XviD, MP3, WMA, WAV, AAC, FLAC, OGG, APE and many others into a CD and brings you an auditory feast by just a single CD! Create your own high-quality CDs with Windows 10/8/7 CD Burner. Download this amazing CD burner for a trial now! 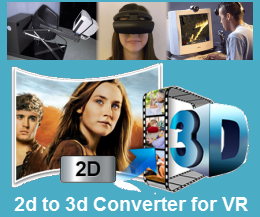 Works on Windows 10, Windows 8.1/8/7/Vista/XP PC. 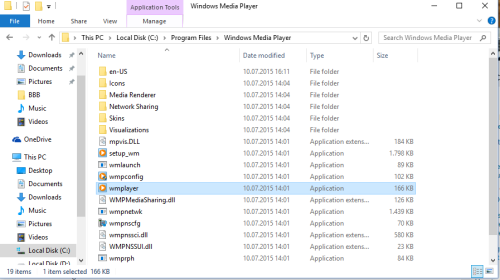 How to Convert MP3, WMA, AAC, WAV, FLAC, AAC, etc and burn to CD on Windows 10/8/7 PC? 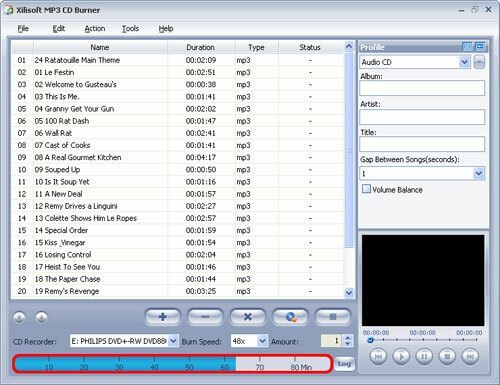 This tutorial will show you a step-by-step guide to convert all popular audio formats to MP3 and burn them as a MP3 CD disc. First, download MP3 CD Burner on your Windows 10/8/7 computer. Click “Add” button on the toolbar or “File > Add File…” to load audio files, and the MP3, WMA, AAC, WAV, FLAC, AAC, etc files will be displayed in the file list. 1. If want to know more about the original file information, you can double-click the added original file in the file list, or select the file and click “Show File Information” from right-click menu or “File” menu. The “File information” window will appear and you can get the file details, such as duration, bit rate, format, sample rate, audio title, artist, album, year, etc. 2. You can arrange the order of added files if necessary by selecting the file and clicking the “Move up” or “Move down” button to move to the appropriate option. Moreover, you can click the “Remove” button to remove the selected file from the file list and click the “Clear” button to empty the list. 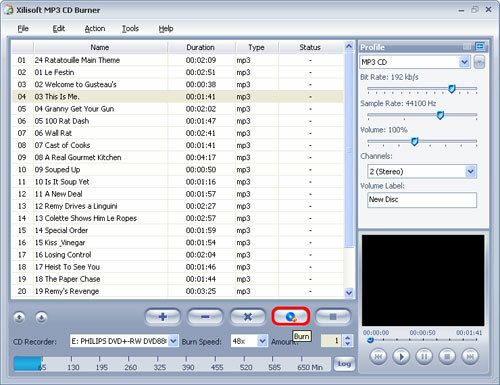 Select the RW CD Drive from the “CD Recorder” drop-down list, and then insert a blank CD disc into it. You can also specify the burn speed and the number of copies. 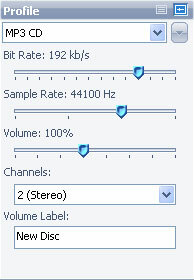 Choose the output CD format that you want to burn in the right “Profile” panel. 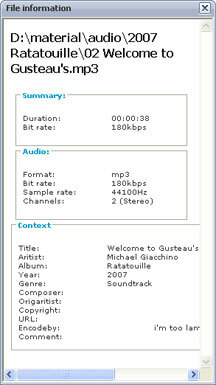 You can also adjust other more output parameters, such as “Album”, “Artist”, “Title” and “Gap between Songs (seconds)”, etc. in the “Profile” panel. BTW, the “Profile” panel includes two tab pages that you can switch them via the “Simple” and “Advanced” button. 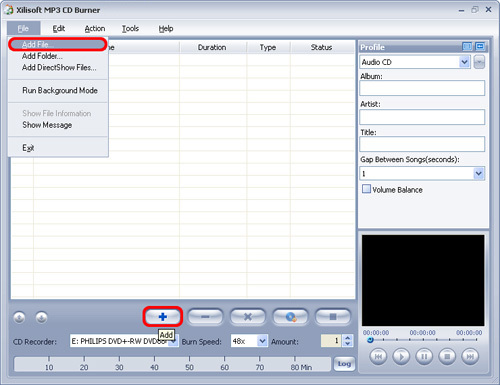 After the above settings are ok, click “Burn” button on the main interface to start burning your Music CD.